Madagascar is a fascinating place for many reasons. We have already examined some of the history of the island and established that the people are largely of South East Asian heritage and do not consider themselves to be Africans. 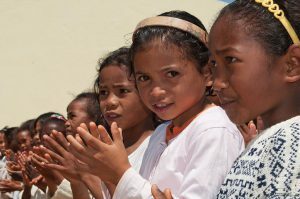 There was also mention of the distinctive tribes that make up the island’s population. The number of actual distinct tribes seems to vary between 18-20 depending on the source. Many of the larger tribes have subgroups, which is one possible reason for this discrepancy. One overall distinction is that between the people of the plateaus and the côtiers, or coastal people. The largest and most powerful groups are based in the interior of the island, which is also where the capitol and the royal palaces were established. These peoples are more modern, have largely adopted Christianity and have historically held more power than the coastal peoples, who are often fishermen who lead simpler lives and retain the rituals and beliefs of ancestor worship. 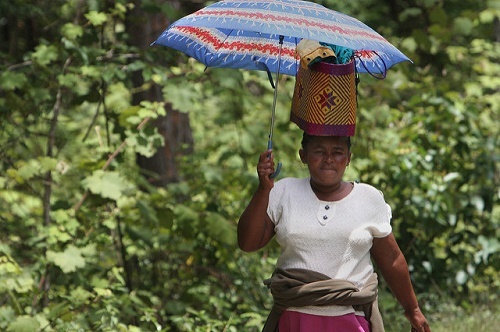 The largest and most powerful of the Malagasy tribes are the Merina. The Merina are known as the ‘elevated people’ and ‘those who always come back home’. They have dominated the island since the 16th century and during the 18th century expanded their influence outwards from the interior of the island under Radama I, who succeeded in uniting the island under their rule. 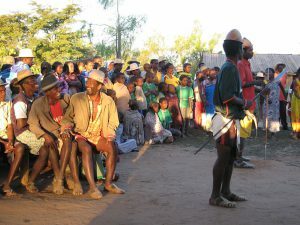 The Malagasy nobility largely originated from the Merina, who strongly adhered to the social divisions of nobility, freemen and slaves. 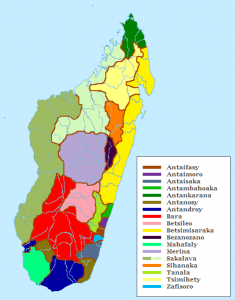 Centered around the area of Madagascar’s capitol city, Antananarivo, the Merina were builders and traders and their language became the national language of Madagascar. The second largest group are the Betsimisaraka, ‘the inseparable multitude’, who reside mostly around Toamasina on the eastern side of the island. A significant part of their livelihood is fishing and they carry on the tradition of ancestor worship as well as a belief in the Kalanoro, a small long haired magical forest creature. The Betsimisaraka have partly European origins due to intermarriage between islanders and European pirates, traders and sailors. 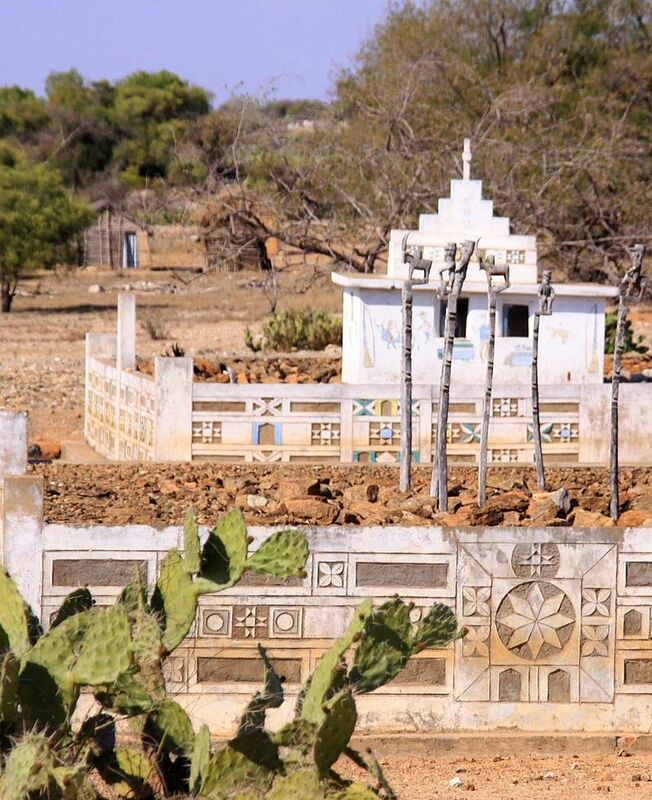 Some trace their heritage back to an English pirate who married a Malagasy queen. They constitute around 15 percent of the population as of 2011. The next largest tribe is the Betsileo, or ‘the invincible multitude’. They are centered around the southern plateau near Fianarantsoa. Sharing many ties with the Merina, they work in the rice fields of the region which are terraced in much the same way as in the south east Asian area of their origin. Other crops include bananas, sugarcane, corn and cassava. Male Betsileo traditionally prove their courage by riding zebu bulls. 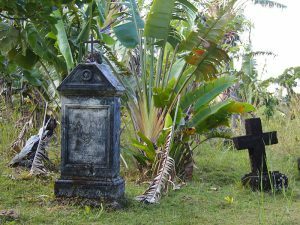 The ‘people of the long valley’ who reside in the western part of the island have a strong Bantu (African) influence which can be traced to when slaves were being traded and brought to the island. At one time, a large percentage of them were practicing Islam in addition to their traditional spirit worship, due to the influence of Arab traders. This all changed in the early 19th century, however, when the Europeans, who they had petitioned for help in defending themselves from the Merina, brought Christianity to the tribe. They continue to have strong traditions, however, such as elaborate face painting and ceremonies and processions for their ancestral spirits. The ‘people of the thorn bush’ are a nomadic tribe, somewhat concentrated around Fort Dauphin and the arid southern part of the island. 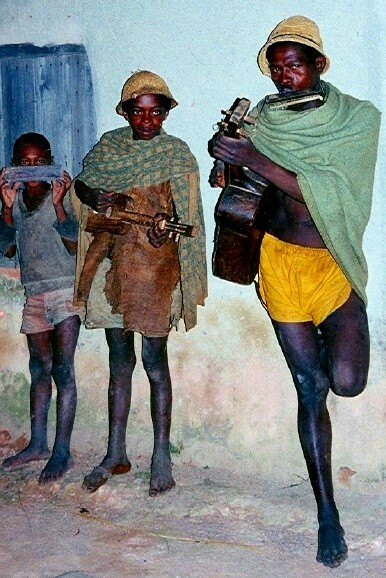 They are known for their Beko music and have many superstitions. They wear amulets as a protection and when someone dies, they go so far as to burn down the house of the dead, and slaughter and eat their cattle to get rid of spirits. Other tribes and their translated names include the Masikoro, ‘those dressed in clothing made from rushes’, the totem pole building Mahafaly, which means ‘forbidden, or taboo’, the Antakarama, ‘people who live in the spiny rocks’, and the Tanala, or ‘forest people’ of the south east rainforests. Thank you for your comment! I have had a lot of fun with this site and am glad you found it interesting. Good luck with your blogging. Hope you will visit again!